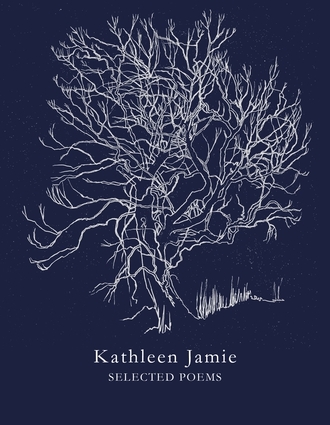 Kathleen Jamie's Selected Poems gathers together some of the finest work by one of the foremost poets currently writing in English. Although Jamie is perhaps best known for her writing on nature, landscape, and place, Selected Poems shows the full and remarkably diverse range of her work - and why many regard her work as crucially relevant to our troubled age. No poet currently writing has a keener eye or ear; no poet has paid more careful attention to the other consciousnesses with whom we share the planet - and no poet has Jamie's almost miraculous ability to show us just how the world might look when the human eye ceases to gaze on it. This exceptional collection of poetry, spanning several decades, allows readers to chart the development of one of our most important contemporary talents, and serves as perfect introduction to her work. Kathleen Jamie is the author of the poetry collection The Tree House, which won both the Forward Prize and the Scottish Book of the Year Award. Mr and Mrs Scotland are Dead was shortlisted for the 2003 International Griffin Prize. Her most recent collection, The Overhaul, was shortlisted for the T. S. Eliot Prize 2012 and won the Costa Poetry Award 2012. Kathleen Jamie's nonfiction books include the highly regarded Findings and Sightlines. She is Chair of Creative Writing at Stirling University.